OK, folks, help me out here. Tell me if you think this is silly. Every year when I disassemble the artificial Christmas tree, I write up a short note to myself and tuck it into the box before carting it out to the garage. Usually it’ll start with something like “Hi, hope you had a great year,” and then continue with some current family news and a few hopes for the future, like “Sean should be fully graduated from college and maybe has a teaching job?” Usually, by the time Christmas rolls around again, I have forgotten I wrote the note and it comes as a pleasant surprise. I enjoy reliving last year’s and this year’s memories while I hang ornaments. Last year, though, when I unearthed the note, my daughter Sara gave me a lot of grief about it. She thought it was sappy. That didn’t stop me, though. Sure enough, when I opened the Christmas tree carton Friday, there was my little note poking out of the branches. But Sara’s comments must have had some effect. This time around the note was a bit more professional, without the “sappy” personal stuff. I limited it to details about things like what decorations I needed to replace and how the cat denuded the entire bottom quarter of the Christmas tree. I didn’t even add a short “Hi, how are you?” greeting. How about you? Do you ever do something like this? Do you think it’s overly sentimental? 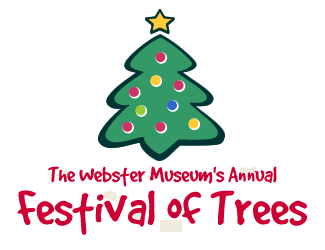 When you’re in town this weekend for White Christmas in the Village, make sure to stop by the Webster Museum on Lapham Park, where the museum’s annual Holiday Festival of Trees is in full swing. Adorable little 4-foot tall trees are set up throughout the museum, each of which has been adopted and decorated by an individual, family or local organizations. When I went over to the museum yesterday to see them for myself, I was delighted by the variety of themes and decorations. There were already probably a dozen trees already completed, and some folks were there putting the touches on a few more while I was there. All the trees will be done and ready for viewing by Saturday afternoon just in time for the village’s White Christmas. From 2:00-4:30 pm the public is invited to tour the museum and vote for a favorite tree. Voting will continue through December 29 and winners will be announced after the first of the year. * a tabletop tree from Freckleton’s Tree Farm. This very red tree was one of my favorites, created by Diane Fahl-Slattery. I also loved this one, by the Webster Quilt Guild. The holiday season in Webster officially kicks off this Saturday December 1 with White Christmas in the Village and the Holiday Parade of Lights, two of my favorite events of the entire year. It’s the first of three special event weekends in the village, leading right up to Christmas. This Saturday the festivities begin at 3 pm with horse wagon rides, a bounce house for the kids, and cookie decorating sponsored by Hegedorn’s. And of course Santa will be there; he arrives at Village Hall at 4 pm. The evening’s festivities end in spectacular fashion with the Electric Parade down Main Street beginning at 6:30 pm. And don’t forget to stop into some of the village shops while you’re there, to finish up your Christmas shopping. I know that Barry’s will have entertainment by Ken Snyder and Trace Wilkins, and guaranteed there”ll be plenty of action at Coach and Hatter’s as well. P.S. I can’t be there Saturday for the parade. If you take any photos, can you send some along for the blog? If you’d like to do something a little bit different instead Saturday night, join the Friends of Webster Trails for a “Full Moon Hot Cocoa Hike” Saturday night at 7:00pm at the Whiting Road Nature Preserve. It should be a beautiful night for a hike, and a great chance to make some new friends. Click here for complete details and to sign up for the event. Now here’s a young man you’re gonna want to keep an eye on. I found out yesterday that Webster has an up-and-coming blues guitar star in its midst. His name is Jon Dretto, and he’s a Webster Thomas High School freshman. Jon has been playing guitar since he was 8 years old. Now just 14, he’s already tucked some impressive gigs under his belt, including the Niagara Falls Blues Festival, where he performed with the Nighthawks and Shrimp Daddy. Jon’s budding music career got a big boost this month when he was featured in the music classroom magazine In Tune. The feature was a follow-up to a contest sponsored by the magazine in July, where he won the top prizes: a brand new Paul Reed Smith SE guitar, an SE50 amplifier, and the opportunity to perform at In Tune’s Race to the Stage concert at Watkins Glen Grand Am in August. In addition to being the opening act, he was also invited to play onstage with the PRS professional band. Our fourth and final concert for the season featured 14-year old Jon Dretto, who rocked the 10,000+ fans that attended our Watkins Glen concert. Jon joined our PRS band the Rocky Mountain Stoneflies and British Blues phenom Davy Knowles for a few in front of the huge and enthusiastic crowd. Congratulations, Jon. You’re making Webster proud, and we are all looking forward to following your career. I saw the most amusing little scene play itself out yesterday afternoon. As I was driving home from Thomas High School on Publisher’s Parkway, I passed a flock of about 30 Canada geese gathered on the north side of the road. To a goose, they were all peering at the roadway, and standing very still on the grass, a safe distance from the passing traffic. Well, not quite all of them. One solitary goose was inching his (her?) way closer and closer to the road. As I drove slowly past, I watched him creep every so slowly onto the shoulder, while the rest of the flock stood and watched. I was hooked. I just HAD to see how this was going to play out. So I pulled off to the side of the road to see what was going to happen next. Step by step, the goose waddled tentatively into the roadway. For almost a minute, he was close enough to the roadside that drivers just went around him. But at long last, the goose had made his way to the middle of the road, effectively stopping traffic. Then, and only then, did the rest of the flock start across. I didn’t hang around long enough to see if all the other geese gave their brave friend a high five or slap on the back. But as I drove away, I did wonder how that poor sap had landed such a dangerous mission. Did he volunteer? Maybe he pulled the short straw. Perhaps it was some sort of goose gang initiation. Or maybe a Birda Poopa Epsilon fraternity hazing. Or maybe, just like all of us after a long day of work, they just wanted to have a little fun. So they decided to play a game of … you guessed it … chicken. I have a wonderfully crazy, off-the-wall, funny, and incredibly talented family. I was reminded of that this past weekend when my husband, kids and I traveled down to Greene to celebrate Thanksgiving with my side of the family. We try to do this every year on the weekend after Thanksgiving, but this year was a little different from most, in that it was the largest of these gatherings we have ever had. By the time everyone had arrived for dinner, there were 21 of us: my 84-year old father, four of his five children (with the exception of my brother Jim), all 7 of his grandchildren, and assorted wives, husbands and significant others. Most notably, it was first time ever that Dad was able to celebrate Thanksgiving with all of his grandchildren. As close a family as we are, you can totally understand that hosting that many people in my sister’s home for dinner would probably have led to fist fights. So she very wisely arranged with her good friend Bonnie Cobb to “borrow” Bonnie’s Restaurant in downtown Greene for the evening. Everybody brought a dish to pass, which led to a very eclectic, non-traditional Italian/American/summer-barbecue-themed Thanksgiving buffet, including all sorts of beverages, appetizers and desserts, stretching from one end of Bonnie’s counter to the other. And over in the corner, patiently awaiting the end of dinner, sat a pile of instruments. You see, when the cousins get together, without question there’s going to be a jam session. All four of my nephews are super-talented musicians who play a variety of instruments. Put them in the same room with their cousin Sean and his fiddle, mandolin and cajon, and what resulted was an hour-long post-dinner bluegrass, Irish and classical music concert. Sean’s friend Sarah King, the other half of Barry’s Crossing, even set up her keyboard to provide backup and vocals. But the evening would not have been complete without stepping outside to participate in the family’s annual tradition: stripping off our socks and shoes and walking barefoot in the snow. Fortunately, snow had been falling all evening and about two inches of the fluffy stuff was awaiting our toes. We have been honoring this tradition in my family for, well, going on 75 years or more now. This was the first time, however, that my father has been with us when we’ve done it. And 84-year old trouper he is, he tramped out into that snow with the rest of us, grinning all the time. It’s stuff like this that makes my family unlike any other. Here’s hoping that your Thanksgiving family get-togethers were as memorable. On to Christmas! This is my family. After the family photo, they broke out spontaneously into “Hooked on a Feeling.” No one knows why. Click to see the video. And if you’re at all interested, click on the photo to see a short selection from the jam session that broke out after dinner. Remember a few days ago when I said that I never take to the roads on Black Friday? Well, that philosophy didn’t mesh very well with the fact that I’m providing a big chuck of my family’s Thanksgiving dinner this weekend in Greene. So yesterday morning I climbed into the car and prepared myself for the worst. And I gotta tell you, it wasn’t that bad. At 10:30 in the morning, Ridge Road was busy, but not backed up like it always is at rush hour. Still, I kept off it as much as I could, and with some creative use of back roads, the 104 access road and parking lot drive-throughs, getting from one end of town to the other was fairly painless. The main impediment, actually, were the garbage trucks, who also travel those back roads at that time of day and tend to take up an entire lane. Since I knew I was going to be out of town today, Small Business Saturday, I also made yesterday my Small Business Friday, and did some Christmas shopping in the village. I had a nice conversation with the folks at Nest Things, a cup of tea with Walter Scott at Webster Gourmet, and followed that up with a hot chocolate, a scone and an unexpected visit with my friends Chris and Julie at Barry’s Old School Irish. It was a very no-stress shopping experience, and as I strolled from store to store I wondered whether all those people fighting the crowds at the big box stores were enjoying themselves as much. The only thing that could have gotten me more into the holiday spirit was a little snow. And what do you know — here we have some, just in time for Small Business Saturday. So check out the village yourself today, and I guarantee with the variety of shops we have in town, you can polish off your entire Christmas shopping list. The parking is plentiful and just steps from the shops, and the people are friendly. And if you go into Webster Gourmet, have a cup of Snickerdoodle tea with Walter, and tell him Missy sent you. Last year on Thanksgiving Day I wrote the following blog, with the conviction that it’s the simple things in life for which we should be most thankful. 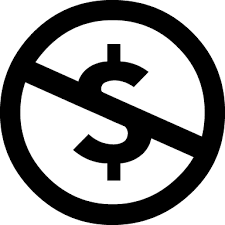 In today’s world, which seems to be getting more materialistic by the minute (as evidenced by Black Friday extending to Black Thursday), I think that message is more important than ever. and … watching Glee with my daughter, my new Barry’s family, baby snuggles, naps, after-dinner walks, sleeping in, “Caledonia,” my kids (I know that’s a repeat, but they continue to make me proud), hiking, fuzzy pajama pants, rainbows, my cat keeping me company while I write…feel free to add your own. Driving through town last night, I noticed the snowflakes have been put up on the light poles. They reminded me how much I love Christmastime in Webster. It’s a time when our cute little town becomes even more charming. The trees twinkle, the shopkeepers’ windows glow with holiday displays, the gazebo comes alive with colorful Christmas lights. Add a gently falling snow and we’ve got our own little Bedford Falls. You can check out the Village website for more information or just check back here in the coming days to find out more about these terrific events. Webster residents have spoken, and they overwhelmingly support full-day kindergarten. That fact among all others stands out most clearly from the Full Day Kindergarten Final Report which was presented to the Webster Board of Education earlier this month. The committee which compiled the report — comprised of more than 60 people including administrators, teachers, parents and other community members — met monthly from March through November, researched the subject, went on site visits, and distributed an opinion survey. They presented their findings to the Board of Education on November 8 in an 80-page report buoyed by more than 200 pages of supporting materials. It is the recommendation of the Full Day Kindergarten District Advisory Committee that the Board of Education pursue the implementation of a Full Day Kindergarten Program for Webster students, beginning in the 2013‐2014 school year. Click here if you’d like to read the entire report for yourself. There are a lot of charts and graphs and talk about core standards and curriculum requirements, if you really want to slog through all that. But what I found most interesting were the results of the opinion survey. More than 1200 people completed the online survey, including a lot of people who don’t have children in the schools, and even some non-Webster residents. On the question of whether Webster should institute full-day kindergarten, the results were clear: 78% said yes, 22% said no. The comments were also quite interesting. The two main reasons people gave in support of full-day kindergarten were to 1) allow more time for instruction and social/emotional development, and 2) offer a more manageable schedule and lower daycare costs for or parents who work full-time. Hopefully a longer day will not only encourage academic growth but also allow time for children to ‘think outside the box’ and be creative and learn through play! Webster cannot continue as an academic power house without full-day kindergarten. We have to get on board, as the stakes are too high with all these new standards. For children who need care outside of the half day hours. It is too much shuffling around to bus to school then day care then home. Let our kids enjoy their youth. They have plenty of years to spend all day in the classroom. 6+ hours is too long of a day for 5 and 6 year olds. I am primarily concerned with what’s best for the children developmentally at this age, not just the cost or the convenience for working parents currently needing daycare for their children. Judging from the response to the survey and to the initial call for community participation on the committee (80 people showed up), it’s clear that community interest in this topic is strong. And even though the committee has recommended that the district adopt full-day kindergarten next year, they don’t have the last word. District administrators are now asking for community feedback about the proposal. They’re hosting an informal conversation with members of the Board of Education on Thursday, November 29 beginning at 7 pm at Spry Middle School, 119 South Avenue. So if you haven’t had a chance to express your opinion, or would like to do so again, take a look at the committee’s report, attend the meeting and join the conversation.